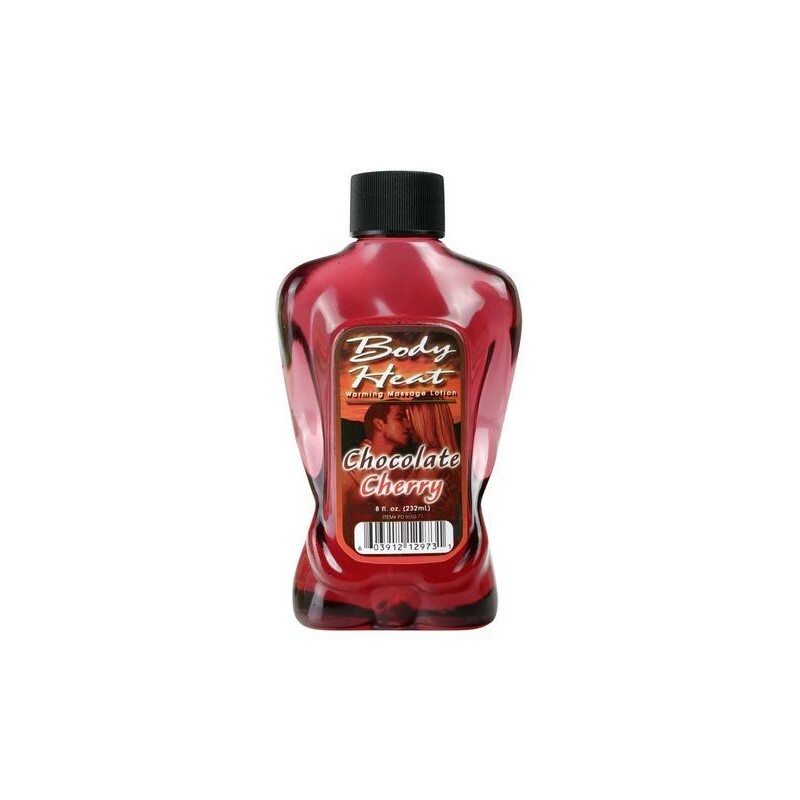 > Lubricants Creams & Glides>Warming Gels & Lubricants>Body Heat Warming Massage Lotion Chocolate Cherry - 8 oz. Add heat to your seduction with these edible, warming massage lotions. Whether it's for all-over pleasure or to give special attention to your favorite erogenous zones, simply rub it on and then turn up the heat with a lick or hot breath. Delicious fun for both of you.